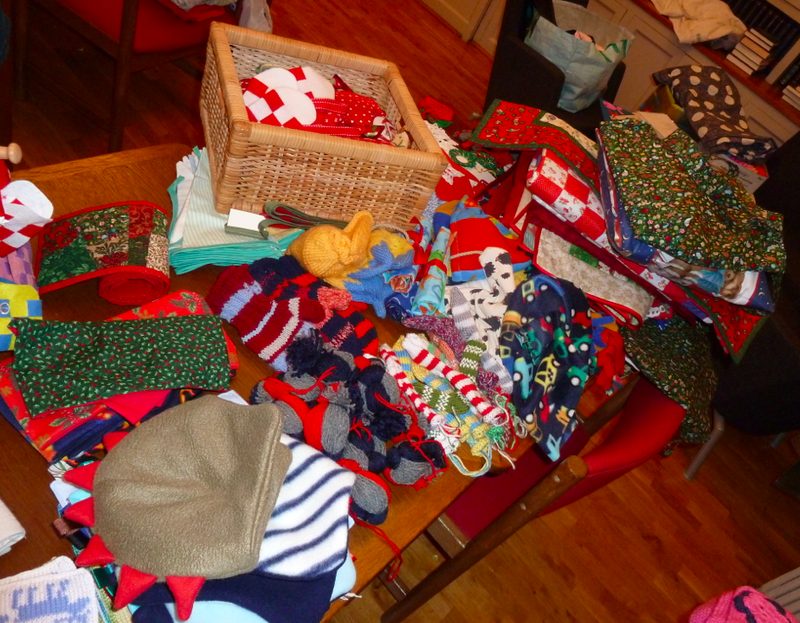 The piles of hand made fabolous items for the Christmas Fair at the Swedish Church in London are growing! This is just one of the tables of items already delivered by the extremely creative ladies. 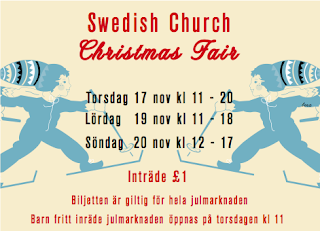 The fair opens on the 17th of November and then again on the 19th and 20th. If everything works out, I'll be in the stall on the Thursday if you'd like to pop by and say 'Hello!'. 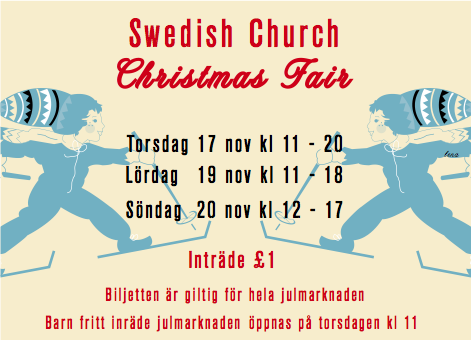 There'll also be lots of other stalls selling Swedish food and Christmas related items. The church will open up as a cafe with Swedish "fika" (coffee, tea, buns, cakes, etc) and the hot dog man will most likely be busy too!